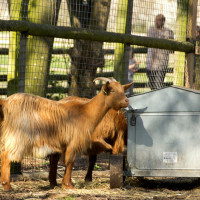 Home » Post tagged "rare breed"
More caprine news this week! 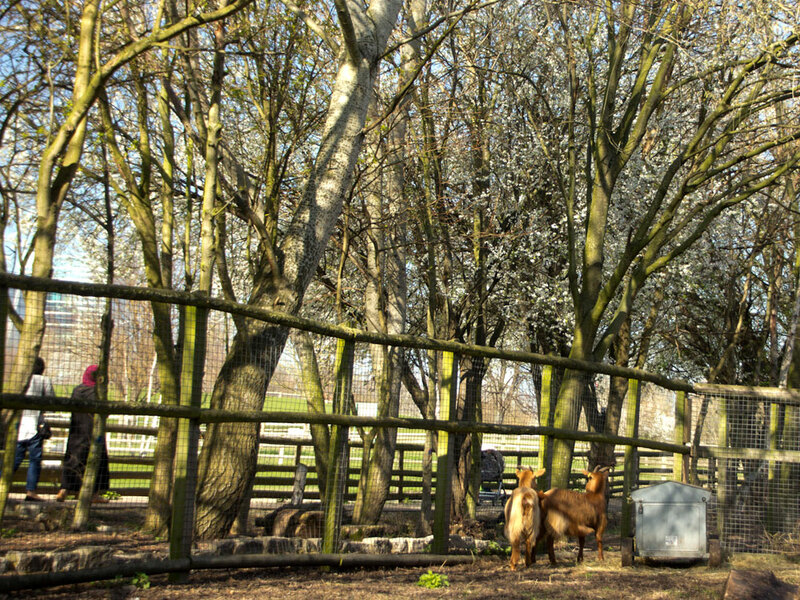 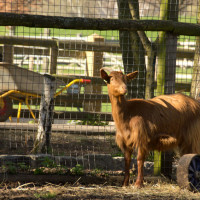 There are two beautiful new goats in our goat pen. 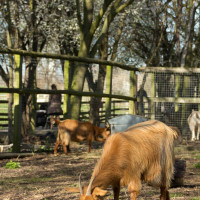 These golden girls are our Golden Guernsey goats, a rare native breed known for their golden coats. 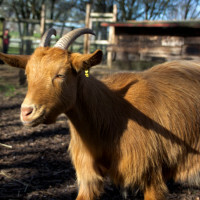 They are a small and light-boned milking breed and as their name suggests, hail from Guernsey. 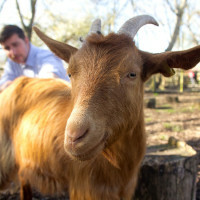 Many thanks to the Friends of Mudchute Park & Farm for helping to bring this gorgeous breed to Mudchute. 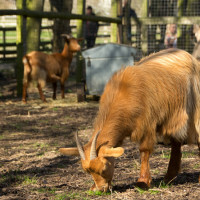 The Golden Guernsey breed nearly died out during WWII as most of the livestock on Guernsey were wiped out during the German occupation of the island. 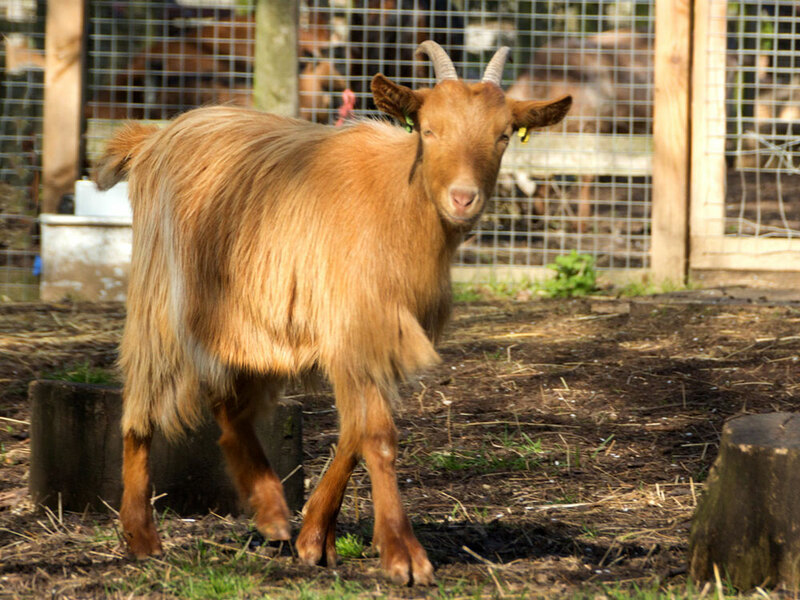 The breed owes its survival to Miss Miriam Milbourne, who was able to hide a small group of the goats! 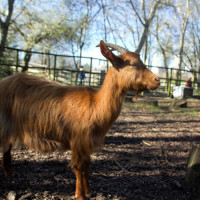 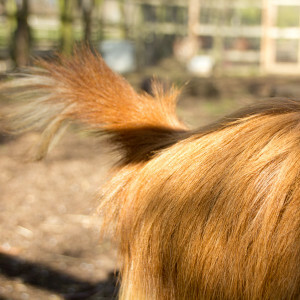 You can find out more about this beautiful golden goat breed from the RBST as well as the Golden Guernsey Goat Society. 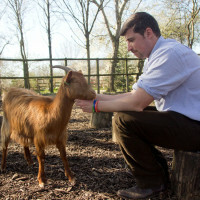 The two golden nannies join us from Vauxhall City Farm and already settled into their new home. 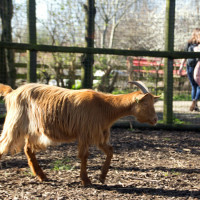 They are extremely friendly and seem to be enjoying exploring their new enclosure. 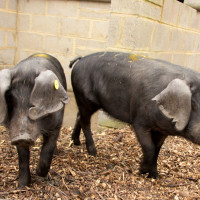 This week we welcomed two beautiful sisters to the farm, our new large black piglets! 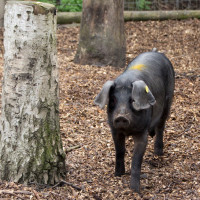 Many thanks to John and Lorraine Cavanagh for helping bring this stunning native breed to Mudchute. 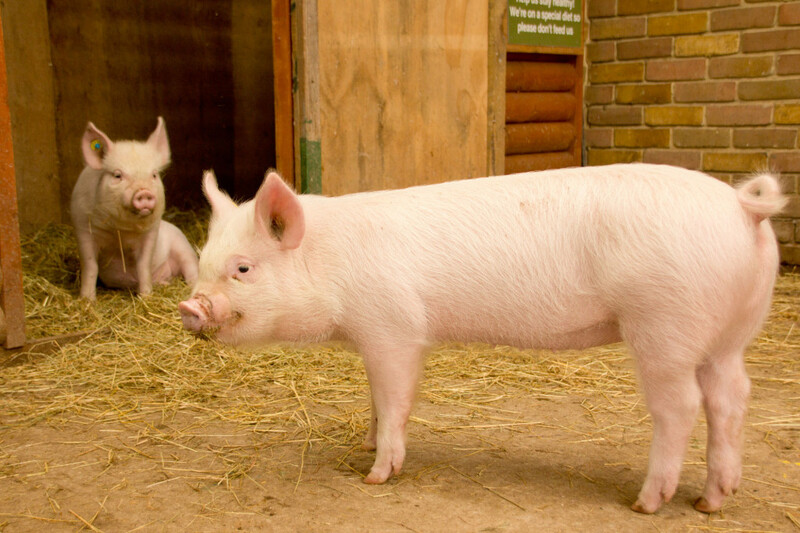 The piglets may not look big now, but these sows will grow quickly and could easily weigh 300kg each as adults! 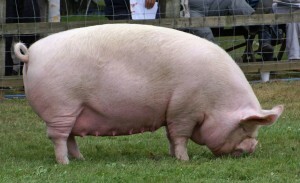 Parkinson’s 1810 description of this native breed includes the following note on their impressive size “They are distinguished by their gigantic size, they are the largest of the kind I have ever seen, and as perfect a make as possible in pigs … their heads are large, with very long ears hanging down on each side of the face, so they can scarcely see their way”. 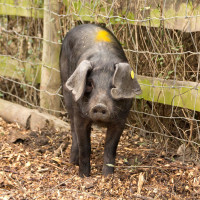 The large black is Britain’s only all black breed of pig and they have an interesting origin story. 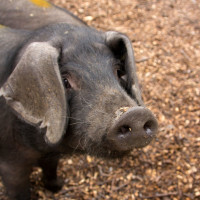 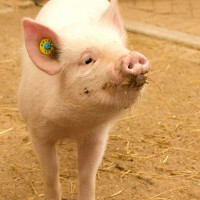 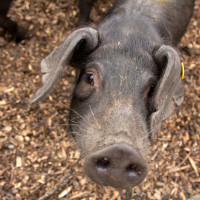 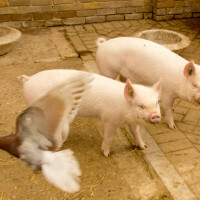 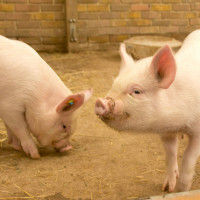 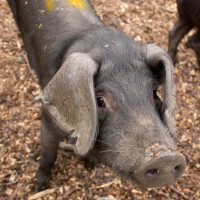 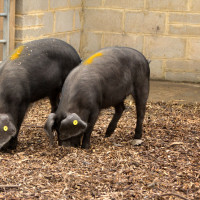 It’s said that two boatloads of all black pigs from China docked in Cornwall and East Anglia and these individuals were used to breed with the local pigs, resulting in the beginnings of the breed. 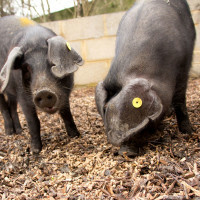 To find out more about this rare native breed, visit the RBST page on Large Blacks as well as the Large Black Pig Breeders Club which was founded in 1889. 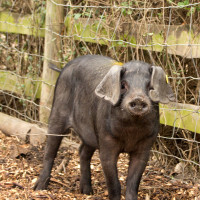 As a breed, large blacks are known for their docile nature and the new piglets are already very friendly. 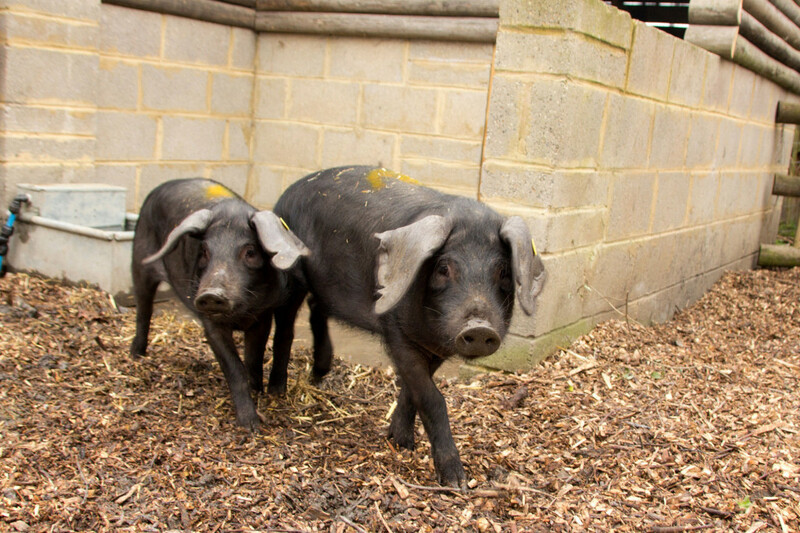 We’re sure they’ll be greatly loved by our visitors and already adored by our staff and volunteers! 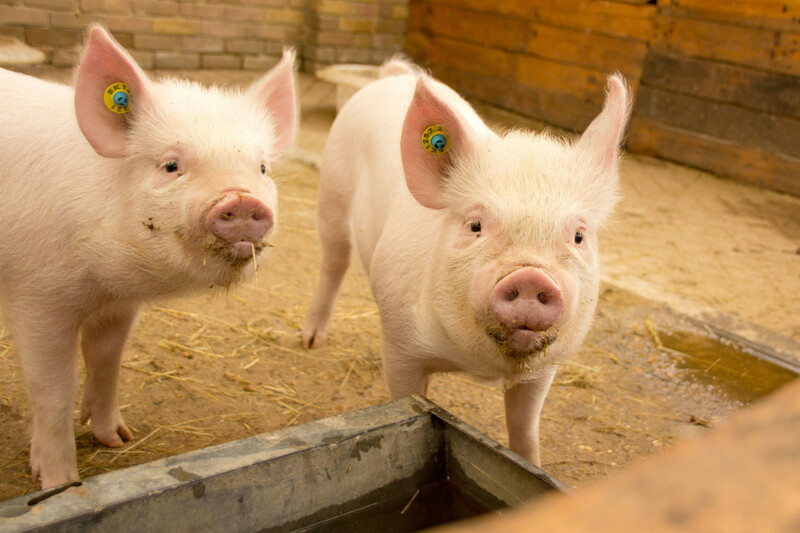 We hope you enjoy meeting them and look forward to sharing updates as they grow!